This week, design blog NOTCOT posted a selection of home and community gardening links. Some of the featured products are great for growing starts, like a $20 hand press for turning regular sheets of newspaper into biodegradable pots. The post is full of cool closeup photos. Great Op-Ed in Washington Post! Why being a foodie isn't elitist. by Erik Schlosser author of "Fast Food Nation". want to grow your own food?? 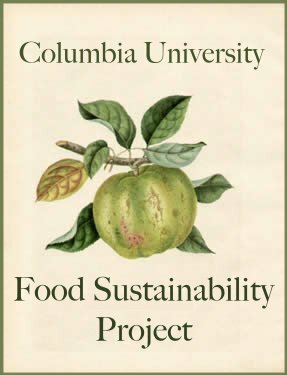 join the Columbia Community Garden this summer! If you are interested in working on the garden AT ALL, please fill out this google spreadsheet! A sneak peak at the sustainable food you could be growing/harvesting/eating - all for FREE!